A Cappella gets a bad rep when it comes to the abundance of criticism received for performing mostly covers. Music is more than simply about penning original lyrics over a carefully composed musical score, it's about imagination. I cannot count the number of songs that I either a) discovered due to a college a cappella group b) began liking the original due to a college group's cover. In either case, both were the result of hearing the song in a way that was different from the original. This reimagining is probably more important in a cappella music than any other music genre. One of the key areas in our genre that we struggle with when it comes to bringing new life into a song is the genre of rap & hip-hop. Don't get me wrong, we're getting better at it. 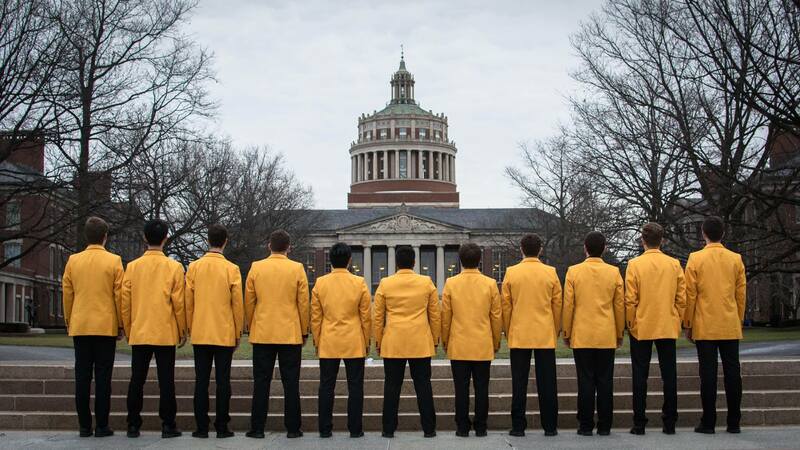 And a perfect example of this is the University of Rochester YellowJackets' cover of "Trap Queen," currently one of the biggest hip-hop songs in the music scene. The group is flawless in not only their delivery but also in their arranging abilities to make the foundation of the whole piece so much more engaging and worth listening to when compared to the original.